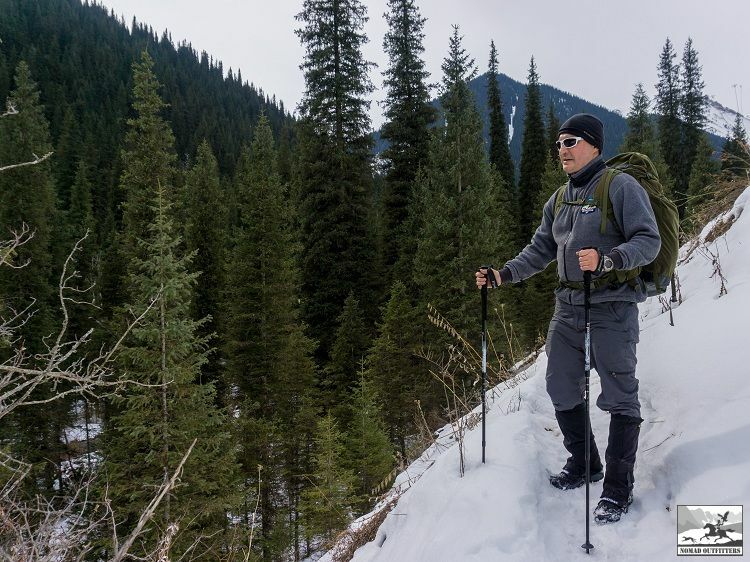 Outfitter KZ team is pleased to offer a two-day tour with the elements of trekking on Kolsay and Kaindy Lakes. 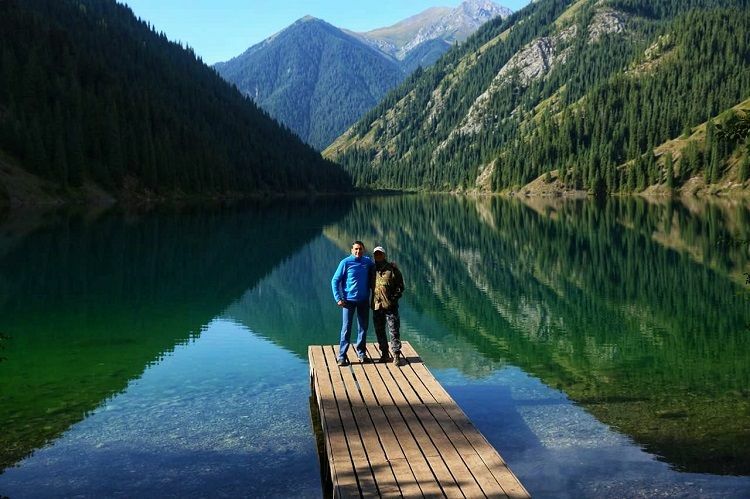 Kolsay lakes are located 300 kilometers south-east of Almaty, 10 kilometers north off the border with Kyrgyzstan. 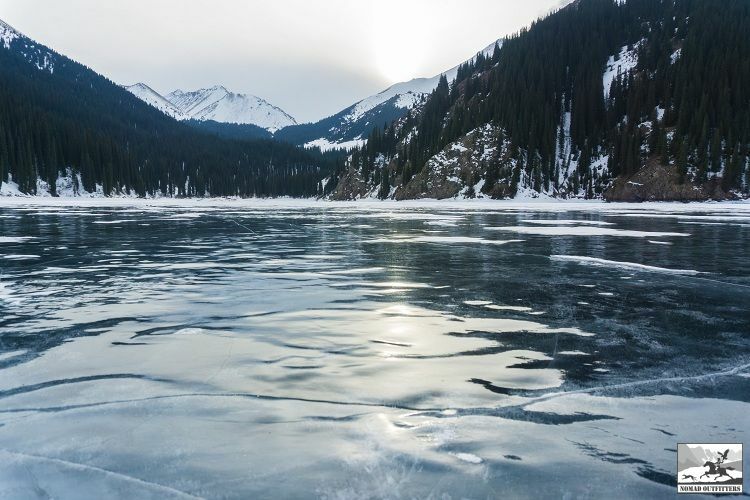 The lakes are located in the national park "Kolsay lakes" ("Kөlsay kөlderі" Memlekettik Ulttyk tabiғi parkі in Kazakh), found in February 2007. 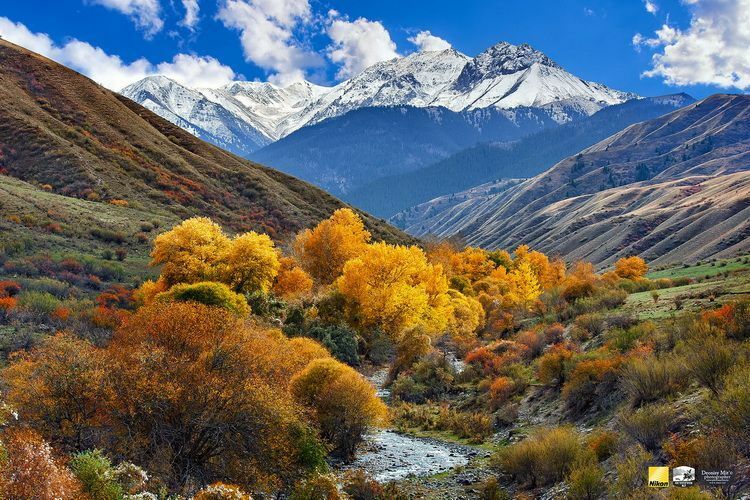 The territory of the national park is inhabited by representatives of the animal world such as: bears, wild boars, lynxes, wolves, foxes, hares and badgers. 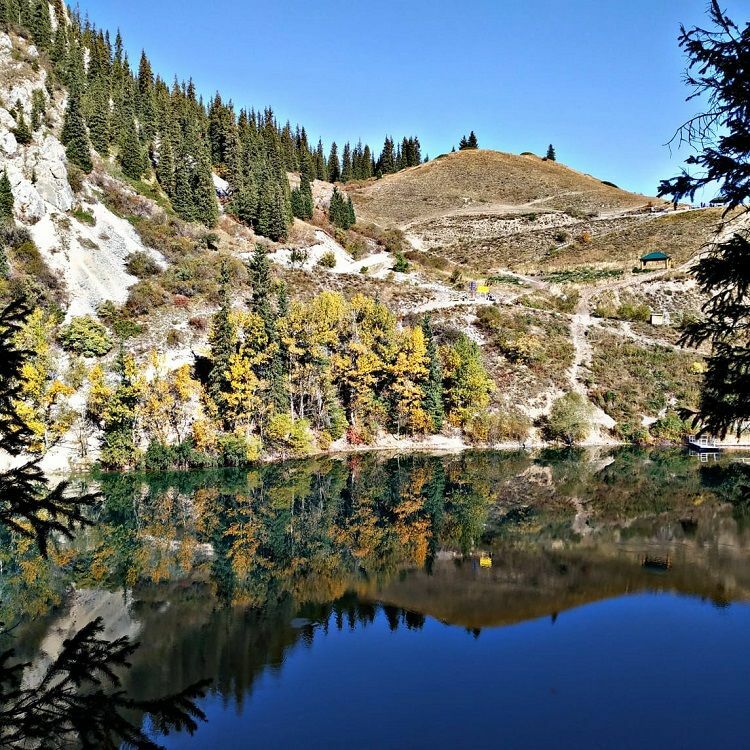 Kolsay lakes is a system of three lakes in the northern Tien Shan, in the Kolsay gorge, in the bridge connecting the Kungei-Alatau and Ile-Alatau ridges. 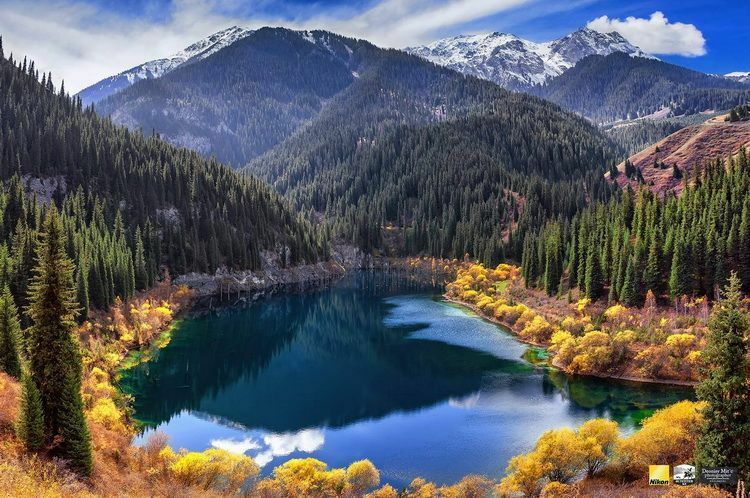 Saty lake (the lower lake) is located at an altitude of 1 818 meters above the sea level, length 1 kilometer, width 400 meters, depth 80 meters. Mynzhylky lake (the second lake) is at an altitude of 2 252 meters above the sea level and 8 kilometers away from the first lake. Sarybulak lake (the third lake) is at an altitude of 2 850 meters, 4 kilometers from Mynzhylky lake. Crystal clear emerald water of lakes is fresh and tight with the content of sodium sulfate. The bottom is shallow in places, without rocky ledges. Kolsay lakes are deep, in some places the depth is 80 meters. In summer the water temperature is 10 degrees. The lakes are flowing and are interconnected with Kolsay river, which originates at the Kungei Alatau ridge. Kaindy Lake (“ Қayyңdy” means full of birch-trees) is famous for its origin. Formed in 1911 as a result of a strong earthquake, which caused a landslide, that blocked the valley, and the water flooded the valley with pine trees. 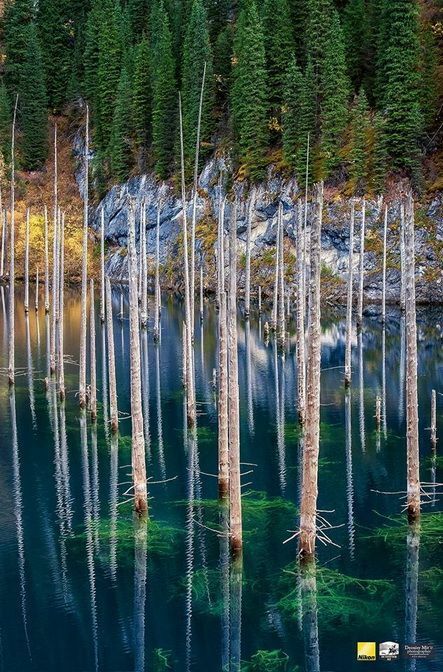 The lake water is cold (6 C degrees in summer), causing the needles of the trees survive and it can be seen through the transparent surface of the water. 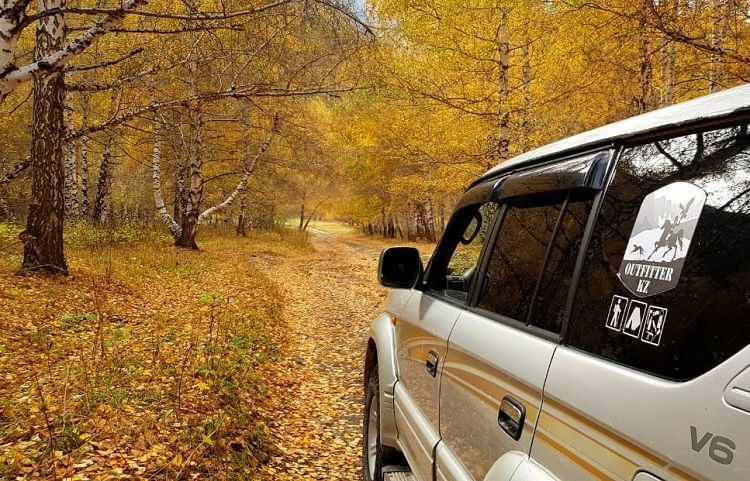 The road to the lake from the village runs through an extraordinarily beautiful birch grove, located 5 kilometers from Kaindy Lake. Departure from Almaty. The car will pick you up within the city. 8:00 am - Departure from Almaty. 13:00 - accommodation in a guest house in Saty village, lunch. 14:00 - the rise to the lake Kaindy. 18:00 - return to the guest house, dinner, overnight. 8:00 - Breakfast at the guest house. 9:00 - climb to the first lake Kolsay. 10:00 - a walk around the lake, a photo shoot. 14:00 - return to the guest house in Saty village, lunch. 15:00 - departure to Almaty. 20:00 - Arrival to Almaty. 110 USD per person in a group of 5 without English-speaking guide (Toyota Sequoia SUV), total 550 USD. 140 USD per person in a group of 4, total 560 USD (125 USD without English-speaking guide). 165 USD per person in a group of 3, total 495 USD (140 USD without English-speaking guide). 225 USD per person in a group of 2, total 450 USD (190 USD without English-speaking guide). 405 USD for an individual tour (340 USD without English-speaking guide). - accommodation in the guest house. Living in the guest house offers sauna services, bonfire. Overnight in tents is available upon request. - breakfast of the first day, dinner of the last day. Route Difficulty: standard, suitable for people with average physical training. Please, be informed, trekking between Saty lake (Kolsay 1st) and Mynzhylky lake (Kolsay 2nd) is not a simple walk. It's available for people with average physical form and children over 7 years old. We would like to recommend the use of trekking sticks during trekking. Precautions: a mandatory cap, sunglasses, your own first aid kit, anti-bug repellents (spring period). 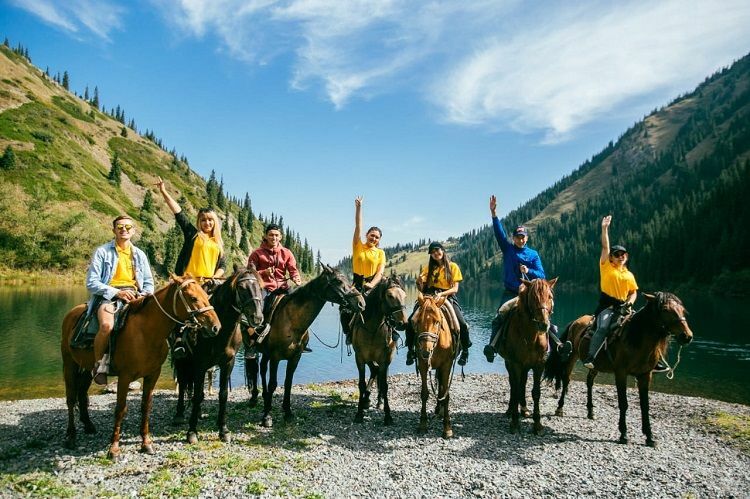 We use photographs of the famous Kazakhstan photographer Deonisy Mit' in the promotion of our tours. 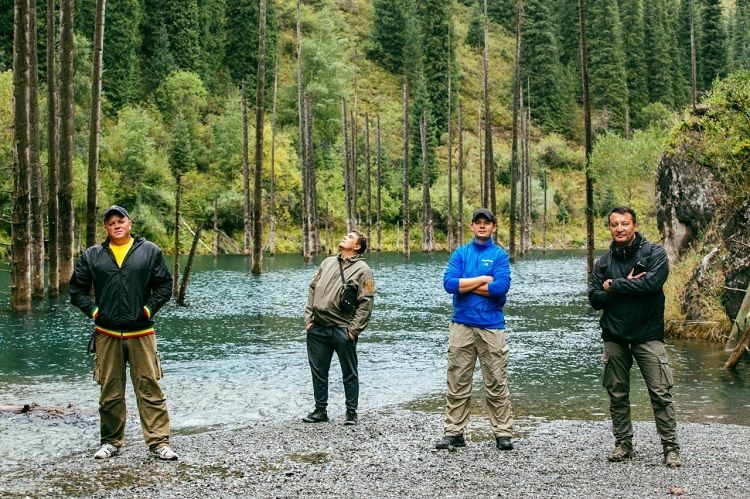 A few words about Outfitter KZ team. 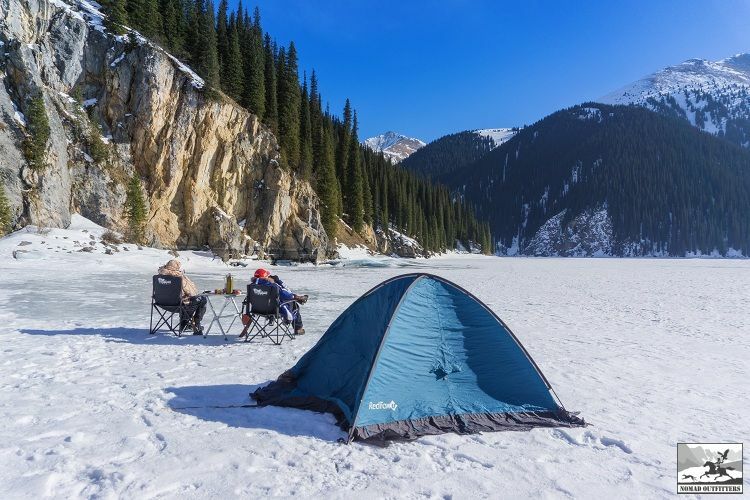 Lonely Planet marked us as TOP outdoor provider in Almaty city. 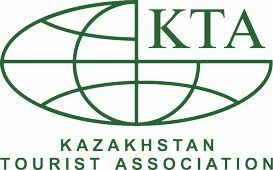 Our team became a member of Kazakhstan Tourist Association in December 2018. 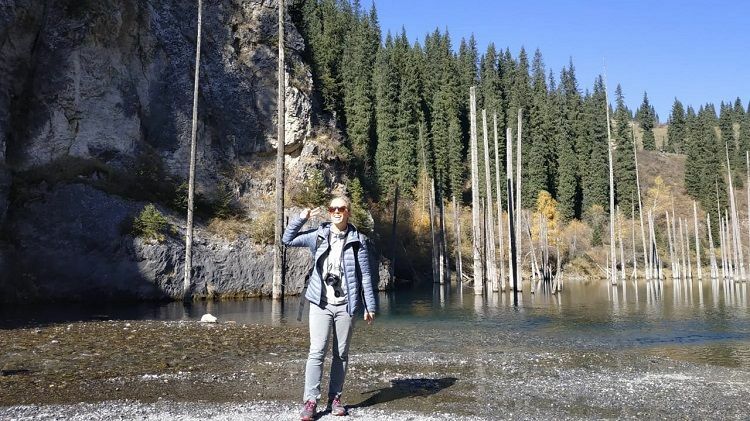 Tour to Kolsay lakes, tour to Kaindy lake, Saty lake, Mynzhylky lake, Sarybulak lake, Kolsay gorge, Saty gorge, Kurmety, Saty village, Zhalanash, Alasa pass.